With 2K13 just around the corner the information well is starting to flow. The 2kSports team talked about having 4000 new animations in the game and this video shows all the hard work they put in. The shot, dribble and contact information were what really impressed me with this one. I can’t wait for this to drop next month! This past week Kotaku ran a story about how Electronic Arts formally defunct basketball series is having it’s Lazarus moment later this fall. Me being a huge basketball fan on both the real life and virtual planes got really excited by this news, why you ask? Because I believe this gives 2k sports the ability to do for basketball what EA never did with their football franchise. Let the other team onto the court. In 2004 EA signed a exclusivity deal with the NFL that made it virtually impossible for any other company to make a NFL licensed game. This gave them a huge upper hand in the football market with their John Madden franchise and also helped to squash their biggest rivals who at the time were at the top of their game. NFL 2k5 was and is still regarded in many circles as the best football game ever made, the awesomeness of that game was born from years and years of a not-so-friendly rivalry . One that people on both sides up in arms about their favorite title ready to fight tooth and nail about who was best. It was a great time for talking trash and playing awesome games, seeing each game grow exponentially each year was exhilarating and made each company better. But this was only done possible through competition, competition that spurred both EA and 2k to pull out all the stops on all fronts. Fast forward to 2011, on the heels of a so-so effort with NBA Live 10 EA finds itself behind in the B-Ball market, trailing 2k’s game by a bunch. People stopped looking at Live for it’s roundball tastes and in a last ditch effort they decided to rename the game to “NBA Elite“. Everything seemed to be heading towards the game regaining some semblance of it’s former prominence but then a Youtube video called “NBA Elite Jesus” appeared, went viral and shut down any hope the game had of being successful. Word spread to gamers about how buggy the demo was, the small amount also retail copies that were sold by street date breakers also had numerous issues as well. EA got word of all the bad publicity, quickly shut the game down and recalled the “loose” copies. 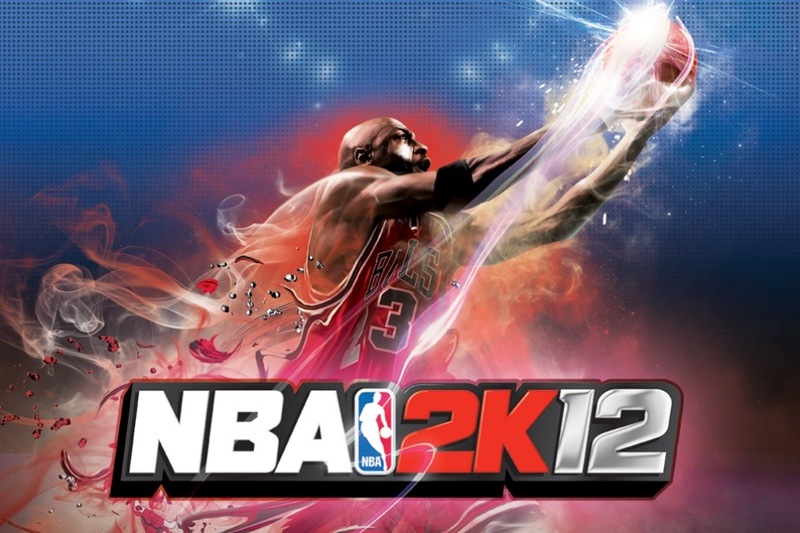 So here we are in 2012, after hearing this latest announcement I would think the happiest folks should be 2k, for the past couple of seasons they have been the best game on the block for many reasons. Their consistent drive to make the most realistic basketball simulation game has seen them take huge strides to make the NBA 2k series look and play like it’s true life counterpart. With all the accolades and awards that have befallen them, they now they have come to the same cross roads that EA did when they were on top of the mountain and have this question to ask themselves. “Do we still try to innovate, or do we stand pat for as long as the market will have us?” The Madden franchise of late has been slighted because of its lack of polish and new features, but through competition EA can put some fire under their rivals’ feet. The 2k game although beautiful, well commentated and chock full of great gameplay still has blaring issues when it comes to it’s online features, and updated team information. If EA can control the online space while providing great gameplay with its own distinct identity, then the folks at 2k might have a fight on their hands. This is why competition is not only useful, but necessary in the effort to keep game developers bringing titles to market that both engage the audience and push the genre forward. The NBA has still no exclusivity deals and I’m hoping this stays the case. I believe that when companies’ have the ability to look back and see someone over their shoulder, usually that is when you will see their best work. If you are like me, you love to see games and devs pushed to innovate, dream and perform. 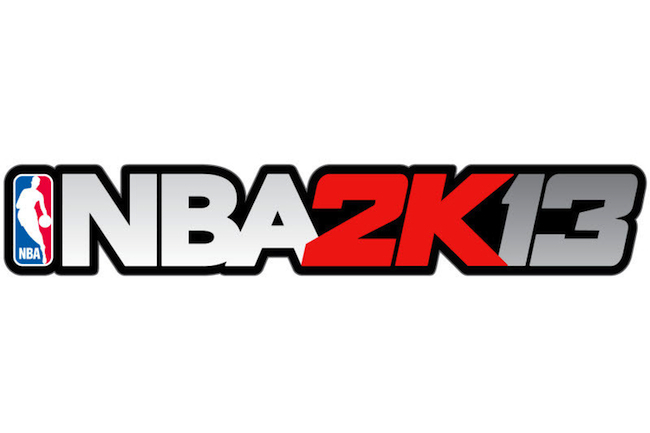 Here is to hoping that NBA Live 13 is successful, and to the hope of seeing two competitive teams back on the court for us all to root for. With the basketball season now underway after the proposed lockout, NBA fans find themselves in the throes of the season. I love basketball and also love playing its digital counterpart. 2K Sports have held the championship belt in the b-ball gaming space for the past couple of years and have now embarked on a really ambitious endeavor: the mobile gaming market. After playing with the game for a couple of weeks now I can say a couple of things. I appreciate the attention to detail that 2K places in all of its sports games. They pay attention to a painstaking amount of “little things” that many gaming companies leave on the cutting room floor. You can see it in their graphics, sound and gameplay, but when porting from a PC/Console version to a handheld device you also expect some degradation in all those things. This is the case with NBA 2k12 for mobile. I wondered how their award winning game would translate to both a smaller screen and to the touch controls that iOS devices employ. I would say that for as much game as they put into this version it is hampered by the usual touch-control schemes that plague most action-based, touch-based games. 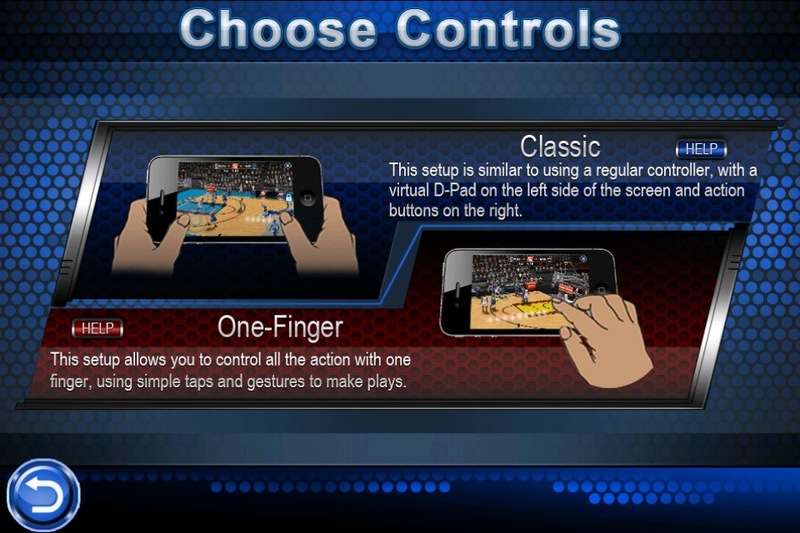 There are two versions of control that you can use, “Classic” and “One Touch” controls. The classic controls use a virtual stick and virtual buttons for both movement, passing and shooting. Using this option gives you the most control over your players but on a smaller device takes up way too much screen real estate to let you see what you are doing half the time. I would assume that this is lessened on the iPad or any compatible tablets, but unless you have one of those devices you are going to have a rough time playing the game with these controls. They just aren’t responsive and make you feel like the game isn’t able to keep up with what you want to do. Player movement seemed sluggish, the offenses didn’t move realistically and the ability to play on ball defense seemed to be lacking in many areas. Your other option is actually a lot better but you then lose manual control of your players all together. The “one-touch” controls basically let the AI control all movement but lets you pass and shoot. Although this sounds terrible it actually makes the game more playable, but also takes a bunch of the fun out of the game. The ability to switch on defense goes away and the AI doesn’t move the offense intelligently, so although you can now see your players better you now have a team full of NBA zombies who can’t figure out how to move when they have the ball and don’t know how to get open for a shot. Nor can they defend in any way that makes sense or is helpful. With all that said, I think that they do put a lot of things into the game that I didn’t expect. The presentation is still very good with very cool camera cuts and replays. Player faces are pretty true to life and they do have several play modes that include full season, playoffs (with playoff-specific commentary) and auto-updated rosters. I also think that this is a great stepping stone for what could be an amazing handheld experience but they have lots of work to do. There are overlapping audio glitches, graphical glitches and their roster updates could be more timely. I think if they get these things handled it could be awesome for next year. 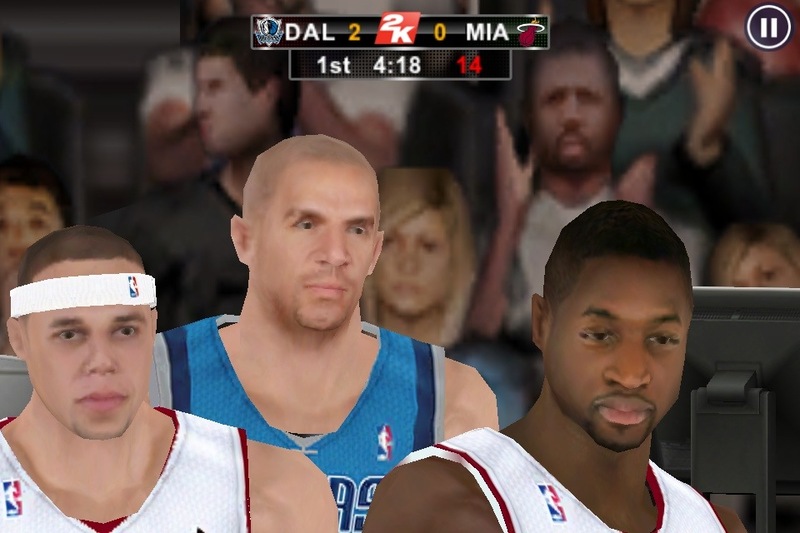 What I would really love 2K to work on would be a PS Vita version. I think that could seriously be great — you would have the fidelity, processing power and dedicated buttons to really have the control you want from a sports game. For those who are wondering if they should pick this up, I would say to pass on it, or at least download the lite version of the game on the iTunes store. Although there is potential there, I would suggest you keep your wallet in your pocket. If you have any comments on the game or the article please leave comments or feedback in the section below and if you liked it, please share.